When I’m browsing the #bujo hastags on Instragram, it’s always those amazing bullet journal fonts and beautiful hand-lettered titles that catch my eye. Keep reading to learn how to add hand-lettered fonts to your bullet journal — and feel like a calligraphy artist! A bullet journal is one of the most flexible and creative planning systems. You can truly make it whatever you want it to be. If you’re setting up your bullet journal for the first time, don’t miss this Bullet Journal Setup Guide. Although the original Bullet Journal system may have been minimal and practical — many bullet journalist have used their creativity and imagination to turn their bullet journal spreads into gorgeous works of art! If you are like me, your bullet journal is part planner, part sketchbook. And one way I love to express my creativity in my bullet journal is through handwriting, lettering, and calligraphy. Using a creative font for your page headline is one of the simplest ways to add creativity and personality to your bullet journal spreads. There are so many different font styles that you can choose — there is something for every mood. 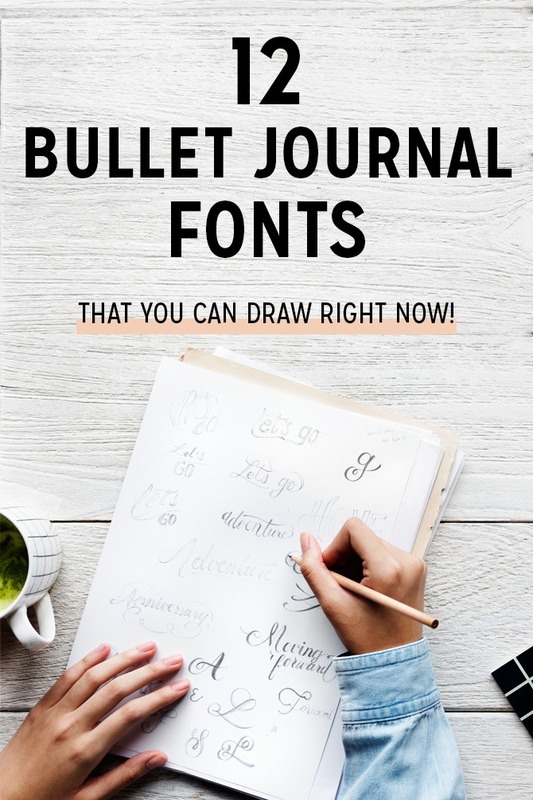 To give you some inspiration, I’ve put together this post all about bullet journal fonts that you can use in your journal or planner. I hope it inspires you to explore your creativity! Before we get to the fonts, a quick note about supplies: A lot of these fonts rely on a certain type of pen to get their signature look. Here are some of the pens recommended for hand lettering in your bullet journal. These pens from Tombow are ideal for fine art, brush lettering, faux calligraphy, illustrations, bullet journaling and more! I like them because you can get gorgeous thick-and-thin brush strokes by changing your pressure on the brush tip. These pens (also from Tombow) have a flexible brush tip for lettering and drawing. I like them because the fudenosuke brush pens have a smaller and stiffer brush tip than the brush on the Dual Pen — so they are perfect for smaller headlines and titles. These are some of my all-time favorite pens. They don’t smear on most paper (awesome for lefties!) They are archival quality, and they last a really long time before they run out of ink. If you want a fine, consistent width line, get these pens. If you love bullet journaling, check out this Bullet Journal Setup Guide. After that, get some inspiration from these Bullet Journal Key Ideas. And finally, don’t miss these 51 Habit Trackers That Every Bullet Journal Needs! 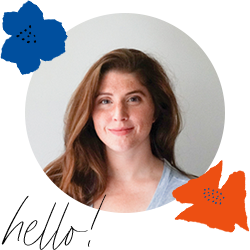 Don’t forget to pin this post to your Bullet Journal board on Pinterest.